Arthur G. Prystowsky - Asbestos and Mesothelioma - Class Action | Wilentz, Goldman & Spitzer, P.A. Arthur G. Prystowsky is an associate in the Mass Tort/Class Action group at Wilentz, Goldman & Spitzer, P.A. He focuses his practice on asbestos, mesothelioma, lung cancer, talc, and proton pump inhibitor litigations. Mr. Prystowsky is a seasoned litigator with extensive experience representing victims of asbestos-related diseases, including in extremis cases involving people living with mesothelioma or lung cancer. He has recovered millions of dollars in verdicts and settlements for his clients, including a $10.55 million verdict in the Fourth Judicial District Court of New York for a man who was exposed to industrial talc and diagnosed with mesothelioma. His extensive experience litigating cases for asbestos victims has led him to develop a comprehensive knowledge of asbestos as a constituent of talc. Understanding the science that supports arguments of talc’s carcinogenic properties uniquely positions Mr. Prystowsky to litigate talc cases. He has applied his strategic insights to the ongoing discovery in the Talc Multidistrict Litigation (MDL). As the son of a physician who specializes in cancer treatment, Mr. Prystowsky is aware of the difficult time clients and their families go through when faced with significant medical issues and learned, at a very young age, the value of assisting people in need. Combining his passion for seeking justice for those in need with his legal profession, he understands that people are routinely injured as a result of the failure of corporations to adequately inform consumers about the dangers of their products. While in law school, Mr. Prystowsky advocated on behalf of the public by writing a comment to the FDA, requesting that the FDA deny a labeling change of certain food products. Subsequently, the FDA decided not to adopt the proposed labeling change. A 2016 trial against a gasket manufacturer in the Supreme Court of New York County. 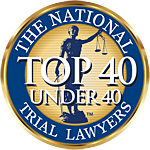 Participating on a trial team that secured a multi-million dollar plaintiff’s verdict for the family of a cancer victim resulting from talc exposure. Assisting in securing a favorable plaintiff’s verdict against an automobile manufacturer that sold asbestos-containing brakes.